I decided to make some play dough for my son Aaron the other day. At 14 months old, he is becoming more and more curious and aware of objects around him, and I figured play dough would make a fun afternoon activity. Play dough is so simple to make. It takes a mere few minutes, costs very little, and is made of standard household ingredients. I made a few different colored doughs, and let Aaron play with it on the kitchen floor. He was mostly interested in poking it with his fingers, and eating chunks of it. Good thing it’s completely edible. 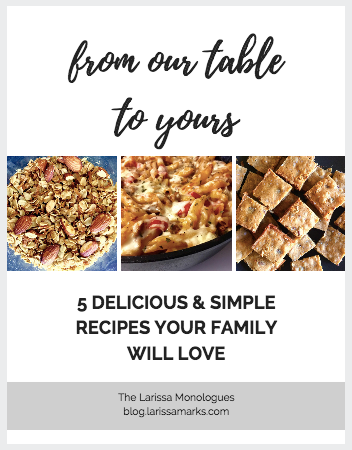 In a large bowl, mix four and salt. Slowly mix in water and oil while stirring. When stirring gets difficult, use your hand to knead the mixture in the bowl. When all the flour is off the sides of the bowl and you have one neat dough ball, dump it out and continue kneading until desired consistency. Add about 1/4-1/2 cup flour until the stickiness disappears. Divide into three balls (or however many different-colored dough balls you want). To color, poke a deep hole into each dough ball and put a few drops of food coloring into the hole. Knead color into dough ball until it is uniform in color. Repeat with remaining dough balls. 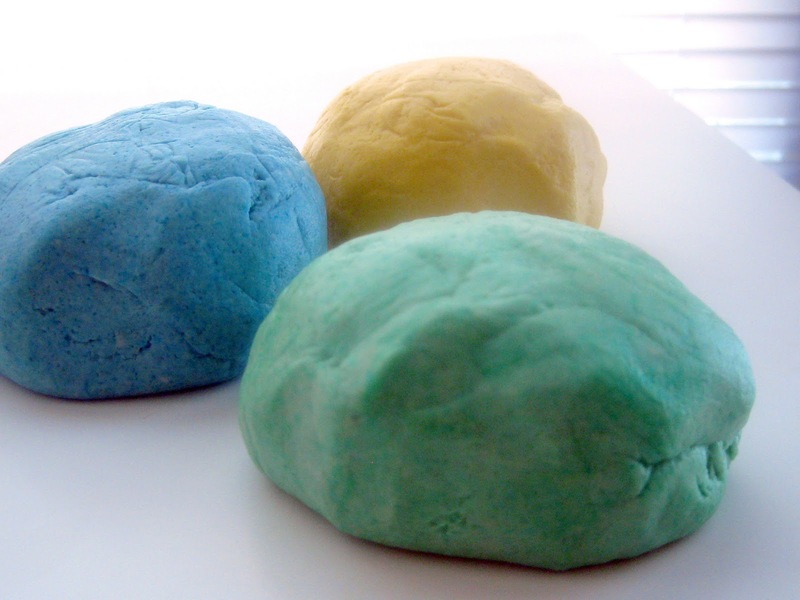 Keep each colored dough in a small plastic bag, and store together in an airtight container at room temperature.